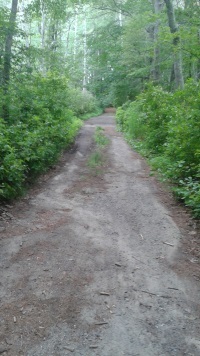 Hiking trails are usually not the first thing a person will seek coming to Marshfield. 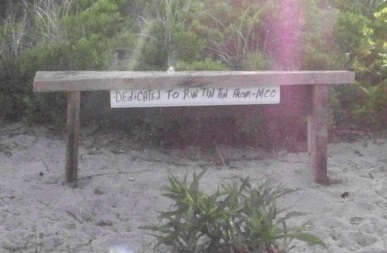 There are as many beaches here as there are trails, being a town that sits right on the Atlantic Ocean. Even a simple car journey in this town can be not only scenic, but turn into an educational experience. once you do roam off the beaten path. will find you close to those famed marshes. Marshfield was not the town's first name, as it's history will tell you. Originally marshfield was part of the area the Pilgrims came to settle in and called New Plimouth in 1620.
had been a heavy native american presence. The evidence even suggests that it was inhabited by these people for thousands of years. was that there numbers were nearly decimated by a plague of some sort. The inhabitants were those of the Wampanoag (people of the first light) Tribe of Native Americans. Their chief or Sachem as they called him was Massasoit. Of the Pilgrims, Massasoit would form a friendship with Edward Winslow. area now known as Marshfield and establish a separate settlement. name that so well describes it's land. harbor and for a time the "settlement" was also known by that name. also was known as Rexhame which means king's hamlet or village. of the Tea Party happened on Tea Rock Hill. Much evidence of this history still exists in this town and the hiking here tie in well with it's history. 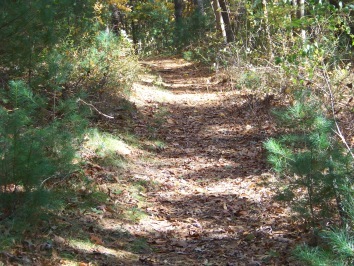 The hiking trails of Marshfield are wonderfully varied and abundant. 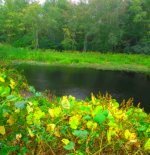 One area that is scenic to drive as well as hike is in the northwest corner of marshfield and referred to as the Marshfield Hills. Stetson Meadows of Marshfield aka Couch Beach. Hiking trails down to a very scenic portion of the North River. 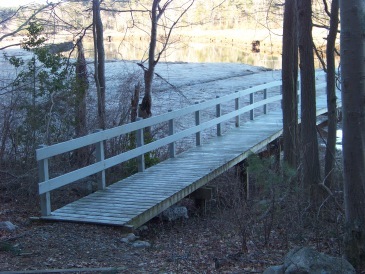 Wide easy hiking trail loop that features views of the North River. Connects to the town owned Jose Carreiro Woods with additional views of the river and its marshes. The most prominently seen hiking area on Union St. Brings you out to a pier built with funds from Marshfield's Community Preservation Act. Looking for a quick scenic hike? 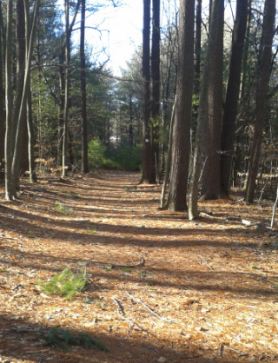 A bit hidden but worth the find, the trail here is part wooded with a mostly grass trail around a cranberry bog. A peaceful way to start the day! 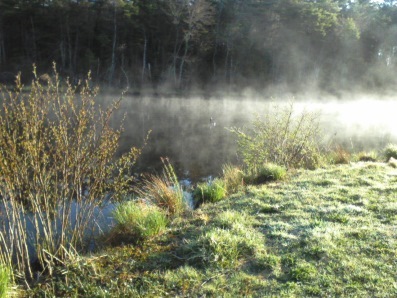 A Wildlands Trust property and just down the street from Ellis Nature Sanctuary. Another quick hike with an initial slightly strenuous climb and lots to explore with a meadow and Chandler Pond across the street. A very dog friendly place with trails to hike and walk your dog!